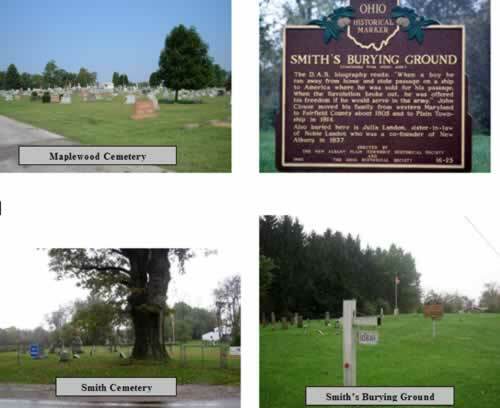 The Township maintains the grounds of three cemeteries, the Maplewood Cemetery located on 4585 Reynoldsburg-New Albany Road, the Smith Burying Grounds located north of the village on Route 62 and the Smith Cemetery located on Lee Road. Maplewood Cemetery is the only cemetery where lots can be purchased. For information on lot pricing and burials, please see Cemetery Fees, or if you have other questions, contact us at the township offices.